So there I was spending a cosy Christmas at home with no plans at all. What better thing to do than cook up some festive mani right? Check it out! 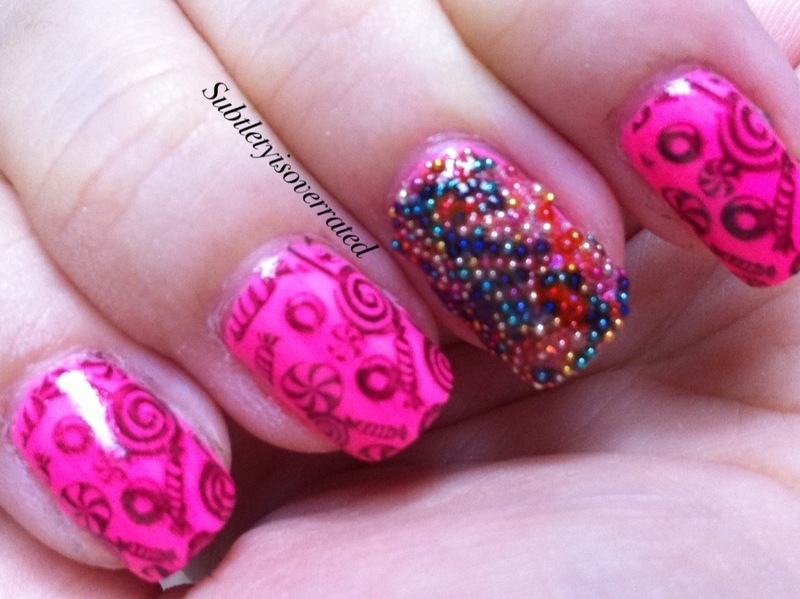 I first used Enchanted Polish’s Ballerina Sprinkles as a base. 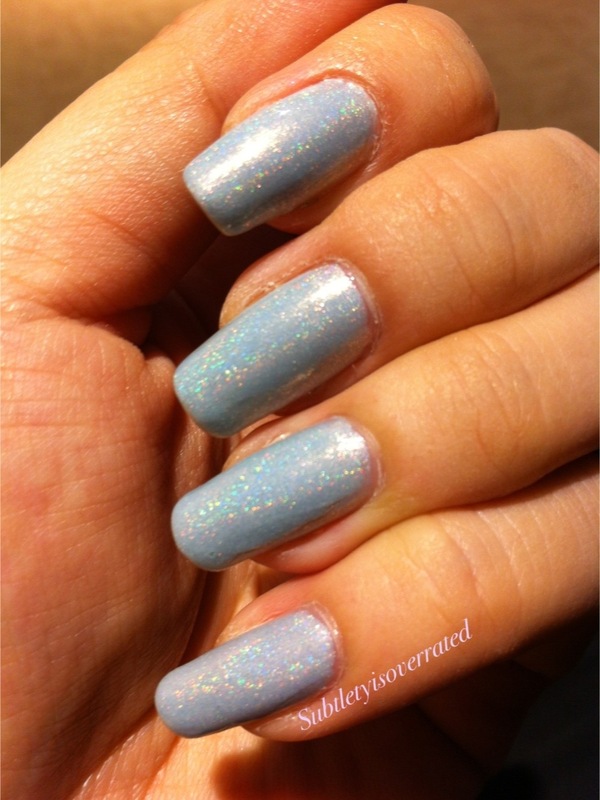 This is light blue polish with a very subtle pink shimmer and very slight scattered holo on the nail. 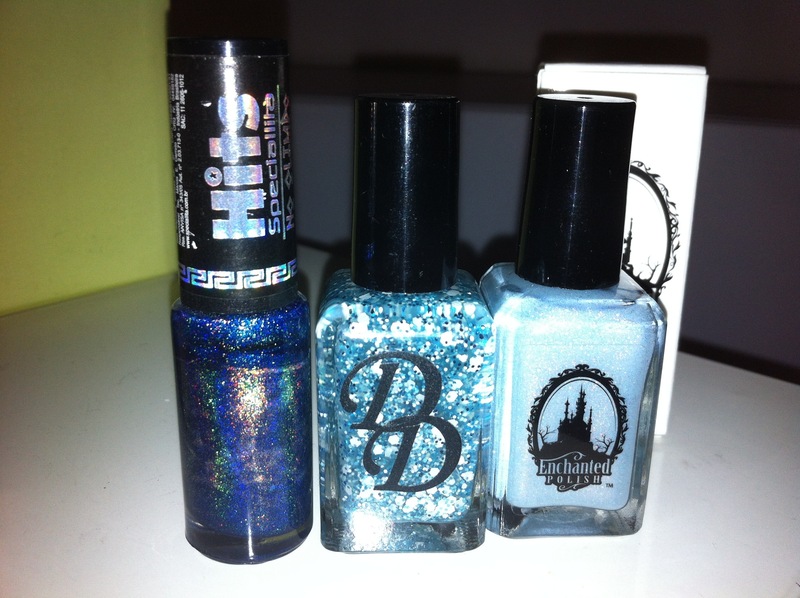 I used Hit’s Apolo a dark blue linear holo and created a gradation effect. Stamped this with white snowflakes and topped it all with Daring Digits’ Ice Age. I love love love Ice Age. 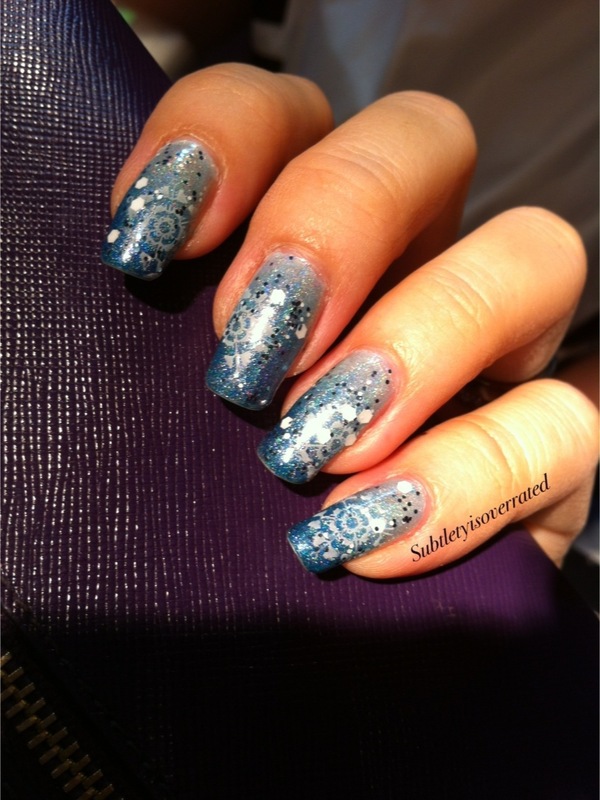 Really it’s give a blingy wonderful boost to the mani creating a snow flake effect. Made out of light blue tiny hex, large white hex suspended in a very light blue jelly base.. Love it! She is having a special sale for Daring Digits. It’s only SGD10 a bottle!!! Grab while stocks last!! She ships worldwide except for Italy. 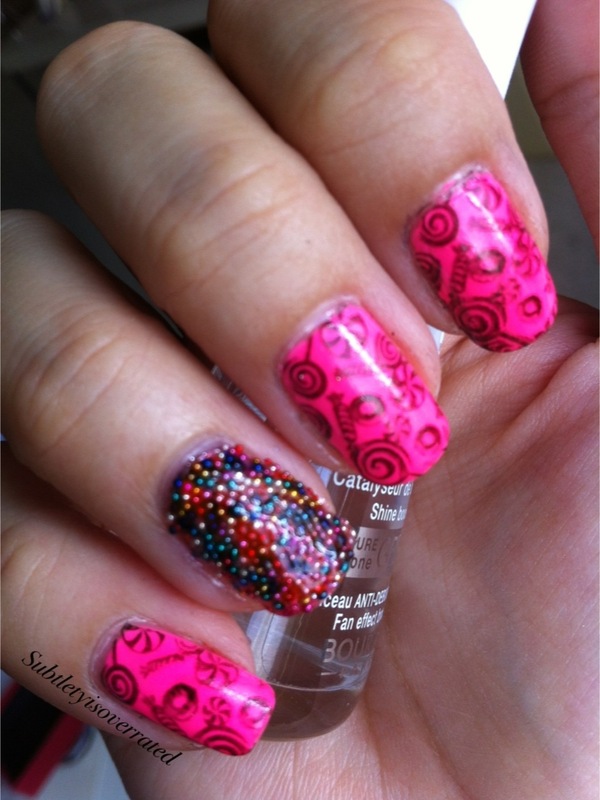 So what do you lovelies think? Snowflakes in sunny humid Singapore? Hi lovelies! 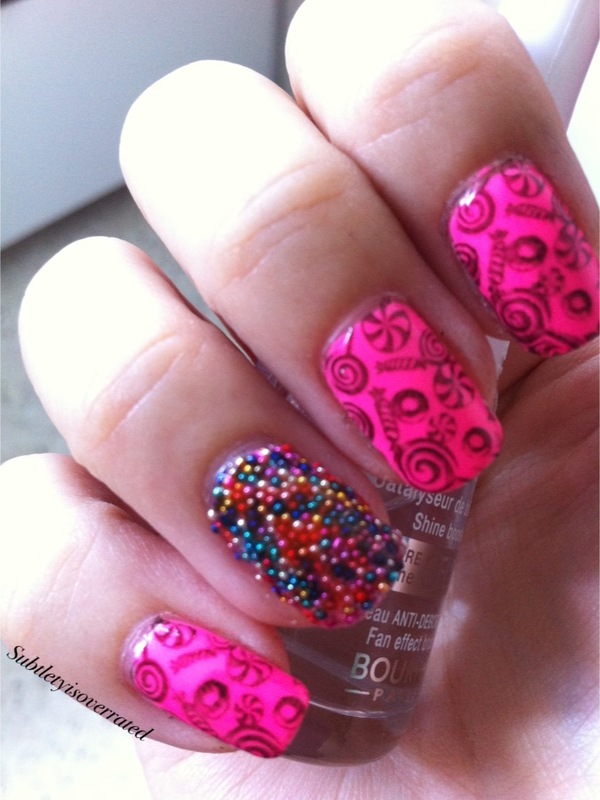 Today I have a super sweet mani for you. Check it out! 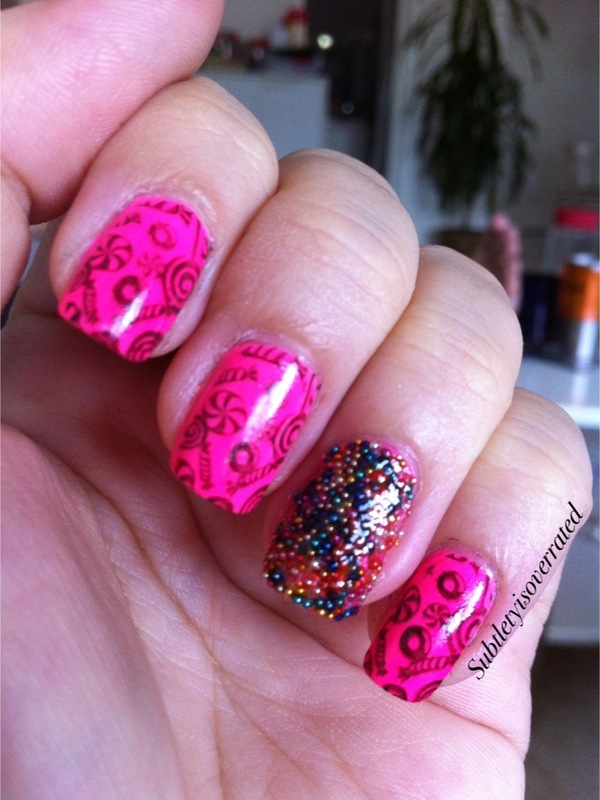 I used China Glaze’s shocking pink neon as a base and stamped it with bundle monster’s candies plate with liquid leather from Bundle Monster. 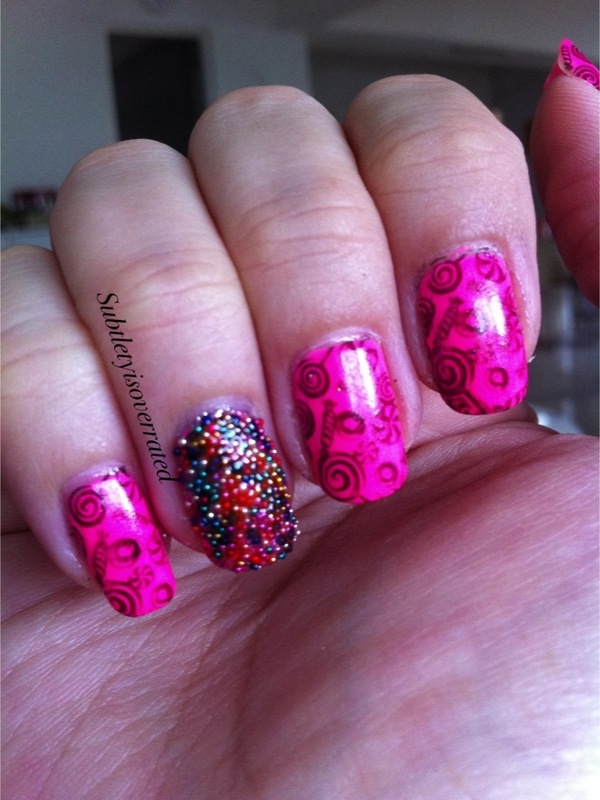 For the accent nail I used Layla’s Caviar Effect Nail art from shoppe eclecticco she is having a 20% off store wide birthday sale! Quickly grab a bottle before it goes out of stock! 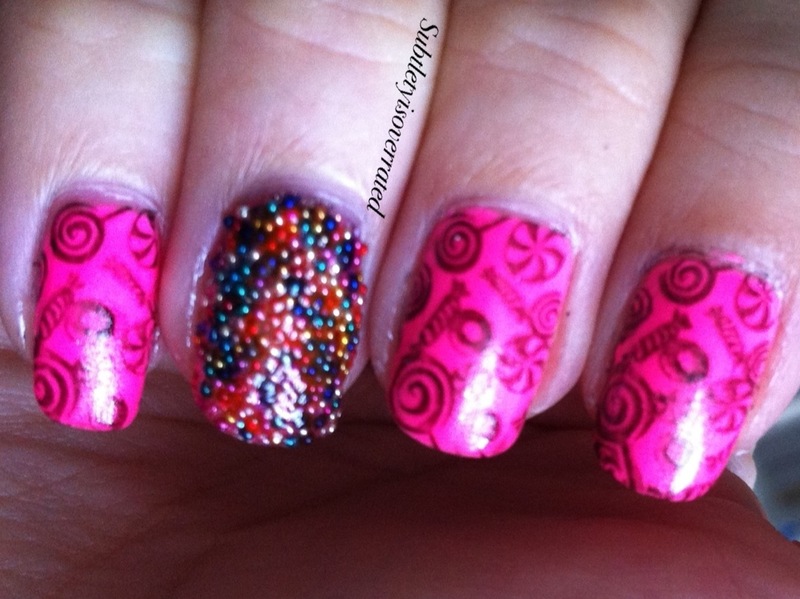 I heard about the use of the word caviar is trademarked so I will call this my candy mani. 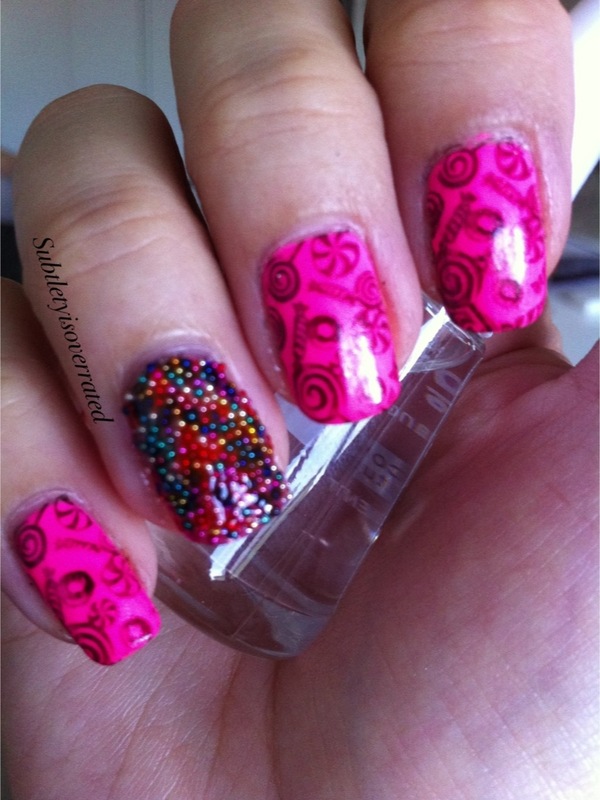 Looks a lot more like candy than caviar me thinks. What do you say?